NEW! Refrigerator Magnet! I'm With The Band... ~ Marie Antoinette Inspired 4 x 6 Glossy Refrigerator Magnet. Funny Sayings. Funny Quotes. NEW! Refrigerator Magnet! 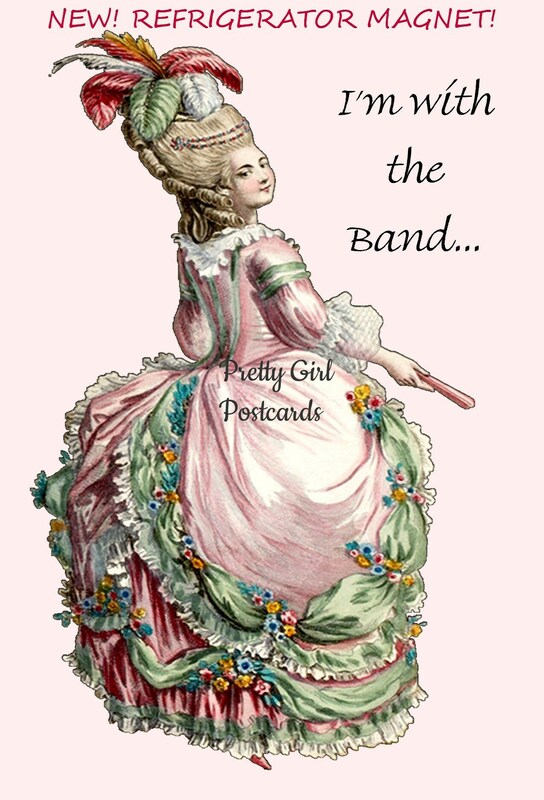 I'm With The Band... ~ Marie Antoinette Inspired 4" x 6" Glossy Refrigerator Magnet. Funny Sayings. Funny Quotes. Each Pretty Girl Magnet measures 4” x 6” (postcard size Magnet). Our custom magnets are made from sturdy 12 mil thick laminate.